The series of stenciled yummy neon foods continues. Now, after ICED RAINBOW and FROSTED RAINBOW I made some PIZZA SALAMI. 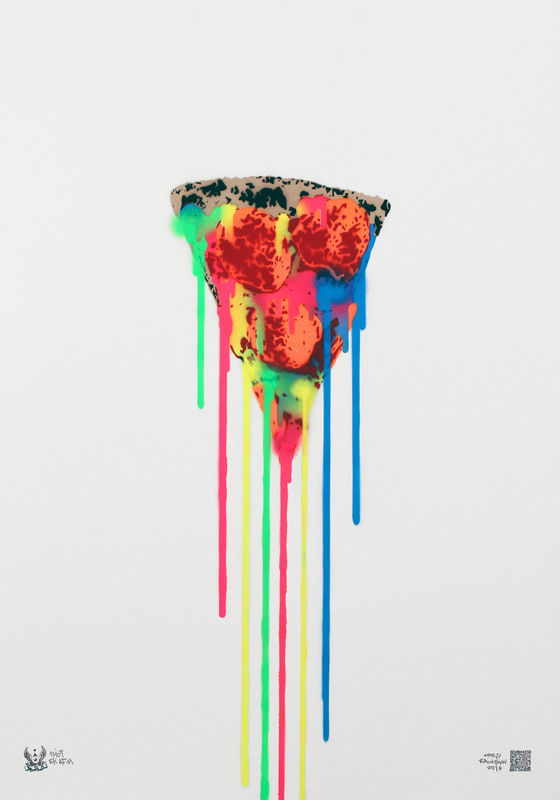 Aka the perfect dinner for teenage ninja turtles and it is dripping cheese in the colours of the rainbow. Stencil with spraypaint 100 x 70 cm, thick 300g paper. Signed but not numbered. It smells like bubble wrap.